There is too much of Ajay Atul in Mera Naam Mary; you often get reminded of songs like Chikni Chameli (this one incidentally happens to be a rehash of an earlier song by the duo from the Marathi movie Jatra, same movie which featured the original of Chikni Chameli as well). The duo’s percussion-heavy format is effective nevertheless, although the star of the song is Chinmayi with a stellar rendition (on an aside, the opening refrain of this song seems quite similar to the opening lines of Naan Adicha from Tamil movie Vettaikkaaran, which came out after Jatra). 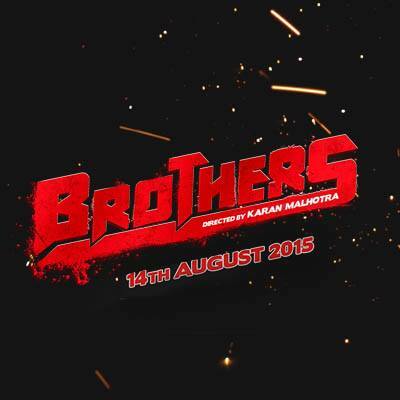 Brothers Anthem has a very standard anthemic tune that rides on Vishal Dadlani’s powerhouse vocals. Even the larger-than-life sounds that the composers strew across the backdrop are of the tried-and-tested variety; the song works, but just about. It is in the melody-oriented pieces that Ajay and Atul knock it out of the park. The female version of Gaaye Jaa is a clear winner over the male version, main reason being that it is Shreya Ghoshal on the former; Mohammad Irfan is good, but not as much. The tune is beautiful, and the ambient arrangement features some brilliant violins (quite liked how a set of violins plays on double time at multiple points). Just a couple of months after he delivered that lovely in Tanu Weds Manu Returns, Sonu Nigam gets another winner in Sapna Jahan – the melody is mind-blowingly nuanced, and the sprawling arrangement filled with twists and turns aimed at accentuating that stunning effect. Sonu is brilliant, and is matched on skill by Neeti Mohan. Three years since Ajay Atul got their last complete Bollywood soundtrack (which was also for the same team: Karan Malhotra-Karan Johar). Brothers doesn’t rank as high as Agneepath but is still a keeper, especially for the melodic tracks.